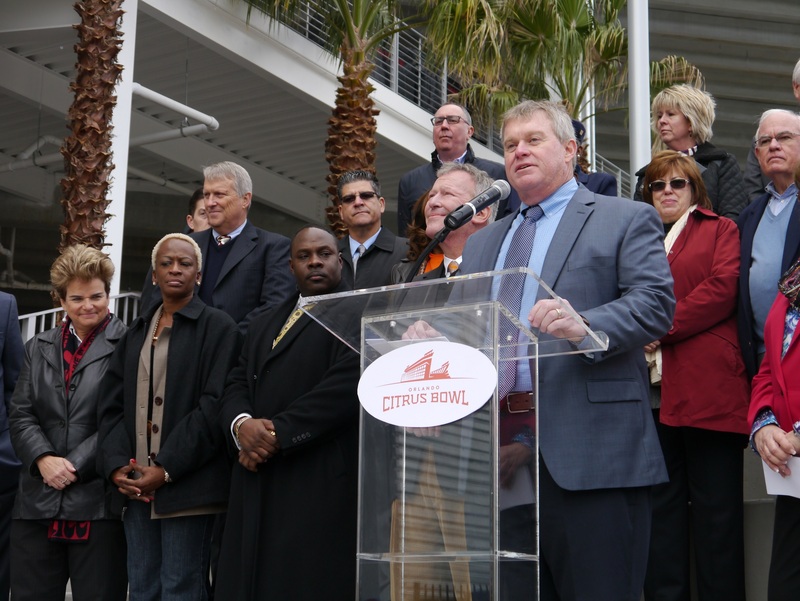 There is more controversy surrounding Orlando Venues Director Allen Johnson, as records show a potentially rigged multi-million dollar bid related to the recent Citrus Bowl renovation project. New emails obtained through an extensive public records request also further expose the culture of the department and Mayor Buddy Dyer’s administration. Johnson is paid $180,000/year and is a close personal friend of Dyer as well. The entire process conducted by the Dyer administration, and specifically Allen Johnson’s Venues department, is now being called into question, as millions of public dollars were handed out to companies that appear to have been hand-picked by just a few people from Dyer’s inner circle. Johnson appears to have orchestrated a rigged bid process to benefit City Hall insiders, predetermined long before any public process was announced. The bidding scandal involves Jay Berlinsky, a longtime friend and financial supporter of Dyer, and the Hunt Construction Group. Berlinsky, who joined Mayor Dyer in the city’s luxury suite for the Rolling Stones concert last summer, was awarded a no-bid contract in September 2012 to serve as the city’s representative during the stadium renovations. Berlinsky was paid more than half a million dollars, or $14,500/month for three years under the no-bid contract and was tasked to help the city select a project manager for the Citrus Bowl renovations. He held the same position for the city during the Amway Center construction. Just two weeks before Berlinsky was awarded his no-bid contract by the Orlando City Council, he and Allen Johnson were meeting with Scott Blanchard, Vice President of Hunt Construction. Attached to the email was a 27-page document titled “Citrus Bowl Renovation – Professional Program Management Services” outlining Hunt Construction’s qualifications to be Project Manager for the stadium, including proposed program management costs. “Thanks for taking the time to meet with me this week to discuss this exciting upcoming project,” Blanchard’s cover letter on the document reads. 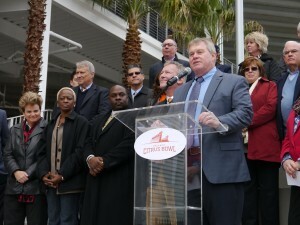 Four months after Johnson’s meeting with Hunt Construction, the City of Orlando finally announced the Request for Proposal publicly on January 2, 2013. All other interested companies would have only two weeks to complete their proposals, as the due date was set for January 16, 2013. A pre-proposal conference was scheduled for January 9th to provide prospective proposers the opportunity to ask questions and receive clarification from City representatives about the RFP. Of course, Hunt Construction already had a personal version of this months before with Johnson and Berlinsky, the two key figures in the process. More than 60 representatives from various companies attended the pre-proposal conference expressing interest in the Citrus Bowl stadium renovation project, according to the City of Orlando’s own sign-in sheets for the event. Little did these representatives know that Johnson and Berlinsky already knew what the outcome would be. From this point, the process moved very quickly. Two days after the RFP closed, the Advisory Committee met to discuss the five sealed proposals submitted from URS Corp, Jones Lang LaSalle, FAnderson, Hill International and Hunt Construction Group. The Advisory Committee tasked with reviewing and evaluating proposals included only five people, four city employees and one representative from Berlinsky’s SC Advisors company. Two of the city employees, Michael Thompson and Ollie Rives, were direct employees of Allen Johnson, meaning three out of five of the votes were already in total control of Johnson’s and Berlinsky’s influence. Janerio Coulter, Special Projects Manager for the city’s BLUEPRINT program, and James Varnado, Treasury manager for the City of Orlando, were the other two members. While not an official member of the Advisory Committee, Allen Johnson attended all meetings according to official minutes. At the first meeting, a motion was made by Ollie Rives, seconded by Michael Thompson, to have Brent Daubach perform reference checks and compile a summary of the proposals, according to the official minutes. Why would City of Orlando staff not perform these necessary checks and summaries? Johnson’s employees assigned Berlinsky’s company responsibility to rig the bid process. On January 25th, the Advisory Committee met for the second and final time. After Daubach’s presentation, committee members reviewed and discussed the proposals and ranked Hunt Construction as the top bid. A week later, City Commissioners voted unanimously to approve the ranking, despite some major concerns because of problems during the Amway Center’s construction led by Hunt, including long delays in paying some subcontractors. Subcontractors went unpaid for months after the Amway Center construction was finished under Hunt’s leadership. According to the Orlando Sentinel, the complaints were similar to those from subcontractors who worked on the Orange County Convention Center, a project led by a joint venture that also included Hunt. “It’s not good business or good oversight of the public dollars we’re responsible for to pay for work that hasn’t been completed, but we continue to push Hunt to close out their contracts and pay their subcontractors what is owed,” Orlando Magic president Alex Martins said at the time. The Amway Center construction ended up millions of dollars over-budget. Less than one year after opening the brand new arena, the Amway Center’s spire began to rust. Hunt Construction needed to take additional measures to correct the problem. “I hope they’ll do a better job,” was the only thing then-Commissioner Daisy Lynum could say at the time of the unanimous vote to approve Hunt Construction for the Citrus Bowl. 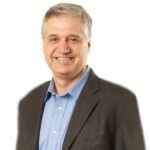 Hunt Construction was awarded $2.4 million to be program manager on the stadium project, meaning Johnson or other Venues staff held further contact with the company prior to the public RFP to allow Hunt to revise their originally submitted bid from August 2012, which estimated $3.2 million in staff costs. Of course, the rigged bid process was already a done deal long before the City Council weighed in. Buddy Dyer had orchestrated the entire process through his longtime friend Jay Berlinsky and his loyal, high-paid Venues Director Allen Johnson. 4 Responses to "Rigged Bid: Another City of Orlando Scandal Revealed"
Hello – With why is it with all of this written record of misconduct has no action been taken? It’s amazing that this continues, but it continues without repercussion. If I committed fraud when public funds were involved I would be on the 6:00 news. Jay Berlinski has had his hand in every city venue project for no other reason than the fact he and Buddy went to high school together. These people have broken the law. As another example of the cronyism you mention look at how Craig Borkon has had an $85k/yr job as the “Special Assistant to the Director of Venues” Allen Johnson. This position was provided after he headed up Buddy Dyers campaign with Buddy telling Allen “Give Craig a job”. There’s no job description nor does he meet any of the basic requirements of a position of that caliber (i.e. he has no college education). These people are handing out thousands, no millions of dollars of public money that is to be awarded under guidelines that are law, not a suggestion. I hope to see more on this story. I have other interesting information regarding this administration and how they handle public money. Reply to. My email below if you would like to talk more. I need to stay out of the press personally, but I can offer other suggestions of where to find other little nuggets the public would find interesting. Buddy Dyer had Allen Johnson in his pocket from the beginning. Johnson only wanted Yes men in his circle. Any one who questioned Johnsons choices were pushed out of Orlando Venues. Johnsons tactics were underhanded to say the least. If someone complained they were fired or relocated. Developers have always run Florida. Buddy is just their latest owned horse. Nice Buddy has no footprint so he won’t go down. When they have rung orlando dry and another fee and another 17% increase they will continue their march through Winter park converting Park Ave to no man’s land. Killing that golden goose.